"'Deep-breathing exercises,' said sophomore Eliza A. '20, explaining what was keeping her and her fellow students behind the curtains calm and relaxed. 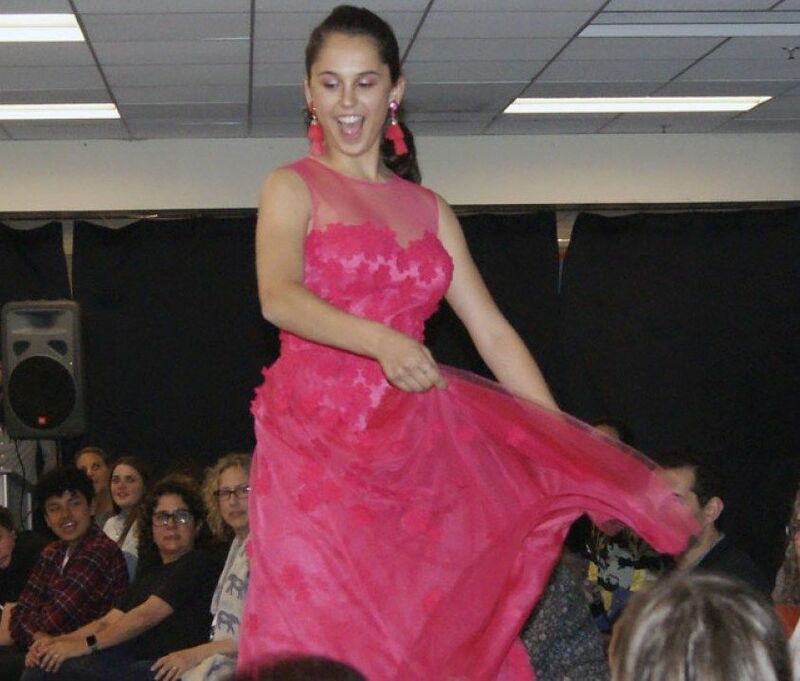 The 25 teens were preparing to walk the ramp for a charity fashion show on May 2 at the Jewish Community High School of the Bay. 'Fashion with Compassion' was an entirely teen-produced event to raise money for Save a Child’s Heart, an Israeli-based organization that provides pediatric heart surgeries in developing nations. This was the second time Fashion with Compassion was held at the school. Eliza's older sister initiated the program last year when she was a senior (students at the school are required to do a big service project in their final year). But Eliza and co-organizer Lucy M. '20 aren’t seniors, so for them it’s a passion project."